Yes, sugar tastes super good, but is it good for you? The answer is clearly no. Unsurprisingly, most people tend to eat way too much sugar than is recommended by dietitians. In fact, the average American consumes over 150 grams of sugar per day -- far too much. The World Health Organization recommends that people consume no more than 25 grams per day to maintain optimal health. Want to cut back on the amount of sugar you eat? 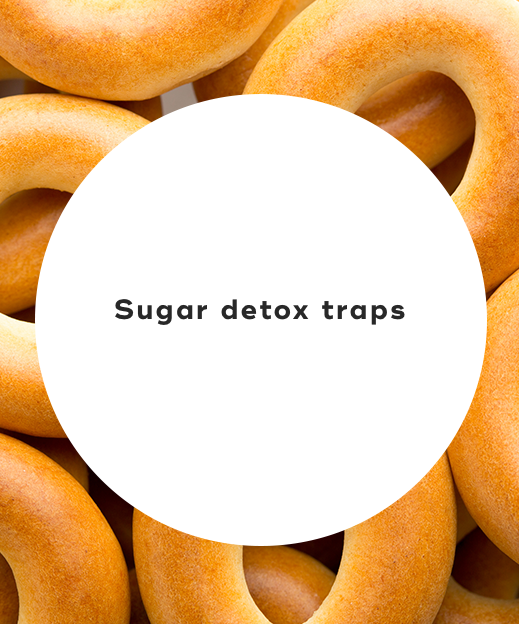 Here's how to survive a sugar detox. While you might think you have to cut down on all forms of sugar, the truth is you don't. The real culprit is added sugar. What's that? Added sugar is refined sugar or syrup that has been added to processed or prepared foods like cereals, flavored yogurts, bagels, ketchup, and protein bars. During a sugar detox, it's still fine to eat sugars naturally found in foods, such as fruits and unsweetened dairy products. But you want to avoid consuming fruits that contain high amounts of sugar, such as mangoes, grapes, and apples. 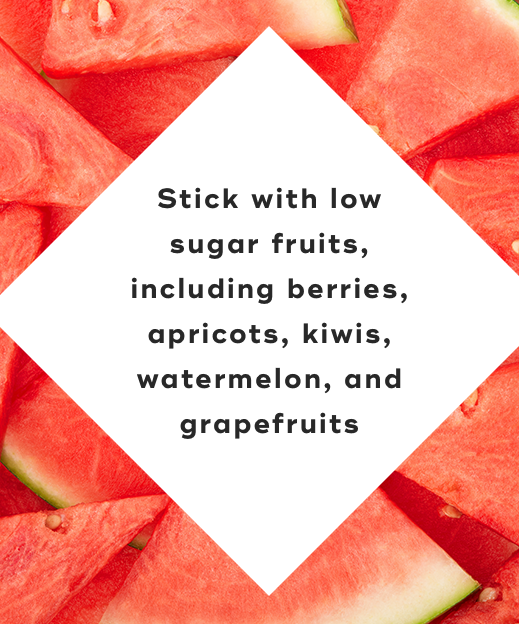 You'll want to stick with low sugar fruits, including berries, apricots, kiwis, watermelon, and grapefruits. Taper your sugar intake. If you currently consume a lot of sugar, then you should slowly decrease your sugar intake rather than going cold turkey. For instance, the first week you could cut out all sweetened beverages, and then the second week eliminate all processed foods. This will make sugar withdrawal symptoms less intense. Satisfy your sugar cravings. While you can't eat refined sugars during a sugar detox, you can satisfy your sweet tooth with fruit. Even though fruit does contain natural sugar, it's also filled with vitamins, minerals, antioxidants, and fiber. Exercise regularly. 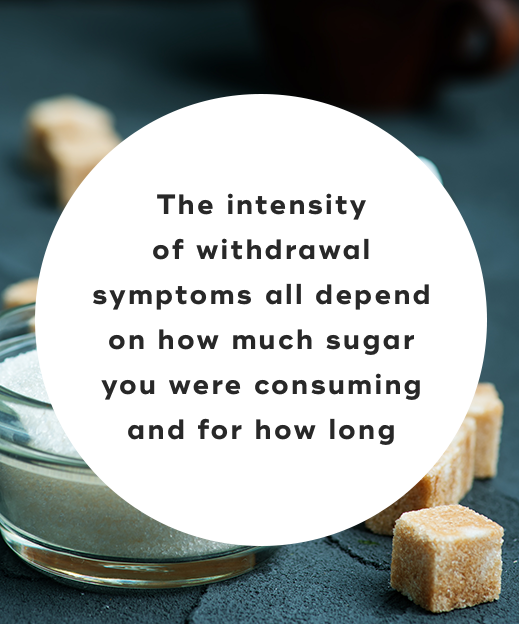 Even though exercise might be the last thing on your mind during a sugar detox, it'll help you better cope with withdrawal symptoms. Cardio exercise helps boost feel-good hormones in the brain, reducing anxiety and depression. Eat protein-rich foods. As you begin a sugar detox, your body's blood sugar will become low. But you can help stabilize blood sugar levels by eating foods high in protein because they are digested more slowly than carbohydrates. Drink lots of water. As your body is detoxifying from sugar, it's important that you drink a lot of water. This will help keep your body hydrated and flush out harmful toxins. Sleep more. Getting extra sleep can help you better cope with sugar withdrawal symptoms. Sleep allows your body to repair itself. Try to sleep for 7 to 8 hours each night. Ignoring your sweet tooth. Contrary to popular belief, you can still eat sweet things while on a sugar detox -- just nothing that contains added sugars. Feel free to indulge in healthy fruits and dark chocolate sweetened with stevia. Only avoiding foods that are sweet. Unfortunately, added sugars are found in savory foods, too. Bread, bagels, cured meats, and pasta sauces all contain added sugar. It's important that you read all food labels carefully. Not realizing sugar comes in many forms. Don't just look for the word "sugar" when reading food ingredients. Refined sugar comes in many forms, such as high-fructose corn syrup, evaporated cane juice, honey, and corn sweetener. Let's face it -- while sugar might taste delicious, it's bad for you. Eliminating added sugar altogether can boost your energy, help you lose weight, clear up your skin, and stabilize your moods. 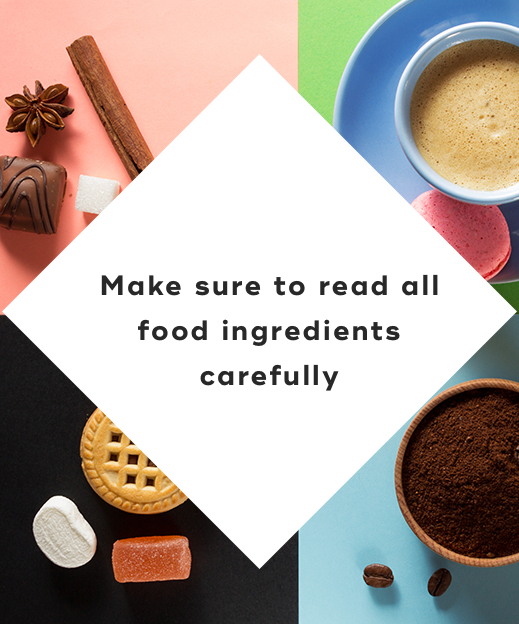 Remember that when it comes to doing a sugar detox, make sure to read all food ingredients carefully and don't deprive yourself of natural sugars. "5 Common Mistakes People Make When Avoiding Added Sugar," Women's Health, May 2, 2014. "9 Proven Ways to Overcome Sugar Detox Symptoms," Yuri Elkaim, n.d.
"How to Breakup with Sugar," Cosmopolitan, November 25, 2013.